A selfie taken on Earth may not be that exciting, but snapped in space, the humble selfie suddenly becomes something pretty special. Here are some of the greatest spaces selfies ever to be snapped, ranging from the majestic, to the comic — even a few from before the selfie officially existed. Like Hopkins' selfie pictured above, part of the appeal of the space selfie is the amazing backgrounds. Here are some other fantastic space selfies that capture some of the most gorgeous horizons, bleak expanses, and astronomical anomalies ever to cross space. 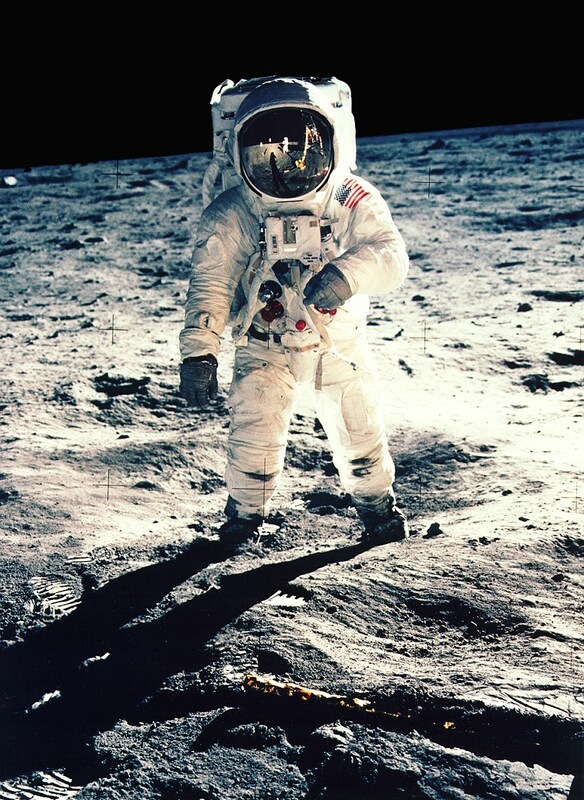 The reflective quality of space helmets has been responsible for some of the most gorgeous astronomical images caught on camera — and, apparently, also for some friendly astronaut pranks, like this one from Astronaut Ron Garan (pictured below) who explains: "(…) I told Mike Fossum I was taking a picture of him. Actually, it was of myself in his visor." Most of the selfies from space feature humans, but a good robot selfie is also hard to resist. Here, Curiosity gets in on the selfie action, by stitching together a series of over a dozen images taken with its own Mars Hand Lens Imager (MAHLI). Besides letting Curiosity in on the selfie fun, this selfie also serves an engineering purpose, by letting the engineers back down on earth know how Curiosity's hardware is faring up on Mars. 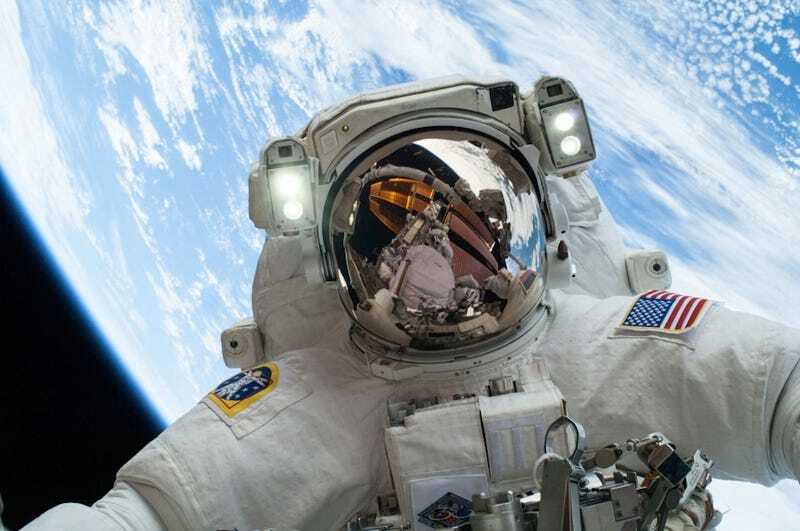 Most of the selfies we see from astronauts are taken, by necessity, from safe within the confines of a spacesuit. In fact, part of the charm of the space selfie is the creative use of visors and reflections to throw back a gorgeous astronomical image or two, along with the selfie. Still, sometimes, it's nice to see a space selfie from outside of the spacesuit, and that's where these marvelous shots from the International Space Station come in. Long before the selfie had gotten its current cultural cache, astronauts were still snapping self-portraits of themselves in space. Here are a couple of selfies from before their time. Image: This shot of Buzz Aldrin comes from all the way back in 1966, during the Gemini 12 mission / via US National Archives, who speculate that this might be the very first "space selfie."